The University of Newcastle's Associate Professor Silvia Frisia refers to herself as a storyteller rather than a scientist and expresses a great admiration for scientific minds such as Leonardo da Vinci whom she describes as 'my favourite genius'. "He was good at everything. He could write very well, he was an excellent painter, he was an engineer and architect, he was a geologist and a botanist! I think what made him so good was actually quite simple – he was an observer." 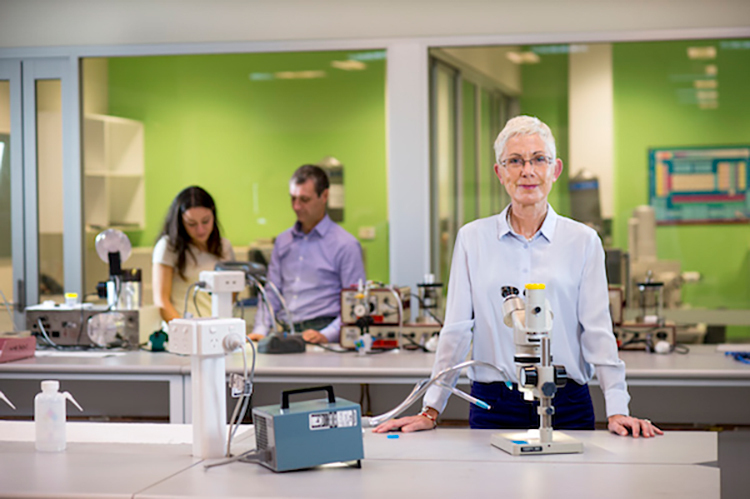 Associate Professor Frisia joined the University of Newcastle in 2007 after many years working internationally and brings with her a strong reputation for collaboration, something she is keen to ensure her students embrace. 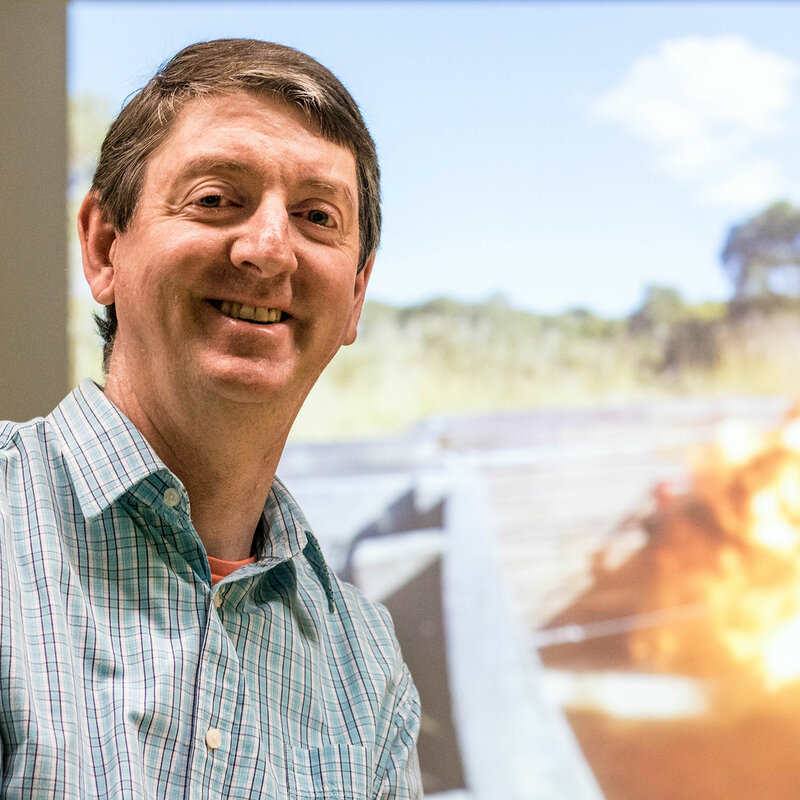 With increasing climate and environmental challenges, Associate Professor Frisia's work within Earth Sciences employs cutting edge technologies to attempt to reveal more about the history of the earth and also the history of humans. More recently, this work has taken herdeep within a cave in Italy to help extract the oldest Neanderthal DNA yet recorded. "This man lived over 130,000 years ago and is an incredible find, however radio carbon dating is only useful to within the last 50,000 years and other techniques we could have employed were too destructive. Thus, we had to use the calcite crust encasing the body to get the age"
Using our Australian Synchrotron and others located all over the world, Silvia's expertise involves the examination of crystal structures and their elemental composition to dig deep into the past and find information about how the environment changed across cold and warm periods. "Understanding the earth's physical past helps us understand the human story. Changing climate is just one part of a series of complex, interlocking processes." Future areas of research for Associate Professor Frisia include possible investigation of climate information from Australian cave formations, ongoing work in the Cook Islands with a particular focus on how governments may devise adaptation strategies from information in relation to past events when there were serious climate changes. Increasingly she is encouraging her students to strive to be competitive within the international environment and to enjoy the process. "We're building up a team with collaborations not just in Australia but internationally, so I want to provide students with a way of thinking logically and independently and ultimately be able to write a great story." Silvia has specialised in carbonate mineralogy and geochemistry while doing her Master of Science research at Berkeley (USA). 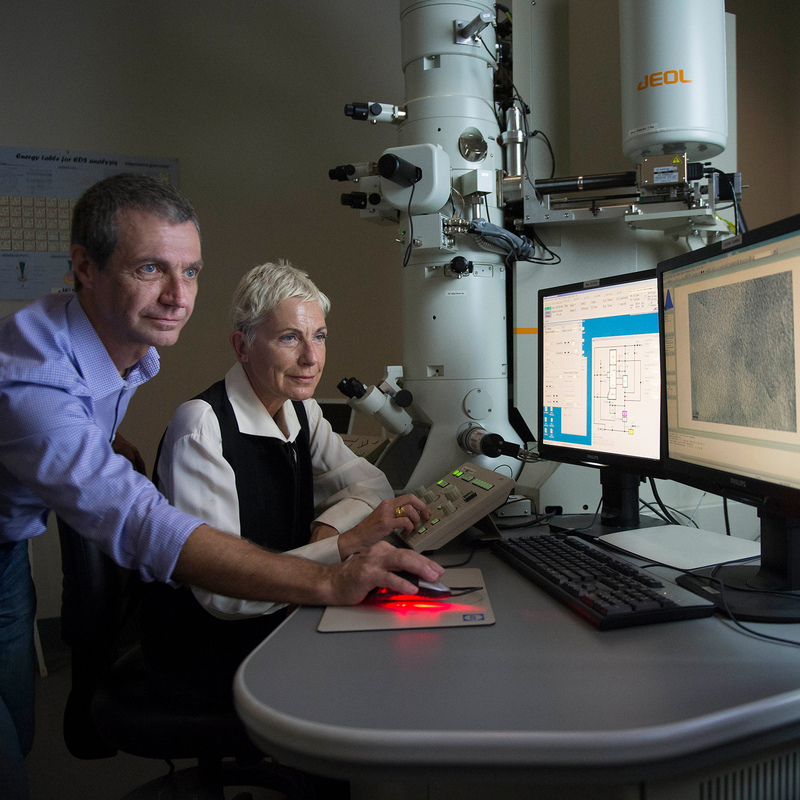 She used Transmission Electron Microscopy and stable isotope analyses to recognise multi-step dolomitisation in carbonate platforms. Subsequently, she pioneered the study of terrestrial carbonate micro-structural and micro-morphological analyses as tool to reconstruct changes in their environments of formation, and relate these changes to climate and environmental parameters. These studies became the baseline for speleothem-based palaeoclimate Subsequently, Silvia pioneered the application of synchrotron radiation micro X-Ray fluorescence spectroscopy to speleothem studies. A major breakthrough of synchrotron work was the detection of sulphate layers in stalagmites which recorded past volcanic eruptions. The impact of Silvia's work is obviously circumscribed within the Earth Sciences community, and more specifically within carbonate and speleothem researchers. The overall impact in the specified communities is large, but small if compared to the impact of medical, ecological, economic research. Carbonates: sedimentology, mineralogy and geochemistry. Fabrics, trace element composition and C isotope composition of calcite and aragonite cements formed in continental (cave deposits) and marine (pore-filling) settings. Diagenesis in carbonate platforms, with particular focus on dolomitization. Diagenesis in continental carbonates with implications for re-setting of chemical signals. Synchrotron radiation bases micr XRF spectroscopy applied to low temperature carbonate geochemistry. Sedimentology and diagenesis of carbonates. Climate and environmental changes in the past 20.000 years reconstructed from geochemical and mineralogical properties of carbonates. Geomorphology. Carbonate minerals petrology, geochemistry and crystallography focused on detecting and solving environmental problems. Stratigraphy, sedimentary petrology and diagenesis of carbonate platforms. Optical, Scanning and Transmission Electron Microscopy-based definition of carbonate minerals fabrics aimed at palaeoenvironmental and palaeoclimate reconstructions. C-fluxes and C-isotope exchange in Karst environments. © 2019 Elsevier Ltd and INQUA A stalagmitic flowstone deposit from the Béke Cave (called Nagy-tufa deposit), East-Central Europe is characterized by complex, climate related textural and geochemical records as documented from a drill core (BNT-2 core) covering the period of 4 to 1 ka cal BP. The core location was monitored in an earlier study. Based on monitoring, textural and chemical relationships, it has been hypothesized that the stable carbon isotope signal of the flowstone deposit is a regional humidity record, indicating wet periods 3.8 to 3.4, 3.0 to 2.8 and 2.0 to 1.6 ka cal BP, and a prominent dry period between 2.1 and 2.7 ka cal BP. Furthermore, stable H isotope data of inclusion-hosted water were used to reconstruct the atmospheric temperatures that fit independent regional paleotemperature records, indicating warm conditions around 2.7 ka BP and a relatively cold period between 2.5 and 1.5 ka BP. Comparisons with regional speleothem records and reconstructed North Atlantic Oscillation data indicate that the Late Holocene paleohumidity changes recorded by the BNT-2 stable carbon isotope record can be detected in the entire Western-Central European region with further links to the North Atlantic realm. © 2017 Investigation by high resolution Transmission Electron Microscopy (HR-TEM) and Synchrotron-Radiation based micro X-ray fluorescence (SR-µXRF) of diagenesis in carbonates imposes uncertainties on the boundary between stages of crystal growth and post-depositional processes. Speleothems and dolomite are exemplars of the entire range of processes that result in solid materials consisting of crystals. HR-TEM investigation of speleothems suggests that there are many possible pathways of crystallization comprising classical ion-mediated, particle-mediated and formation of metastable phases. Diverse pathways influence the potential of a primary carbonate to undergo post-depositional transformation, with consequences on the accuracy of the preservation of original chemical and physical properties. The capability to date speleothems with U-series techniques is unique amongst other archives of Earth&apos;s history. It has been observed that U mobilization, which results in age inversions and uncertainties, is dependent on both crystallization and diagenetic pathways. Here, it is also proposed that the presence of organic colloids, mostly consisting of humic substances (HS), influences the extent to which U may be mobilized, as well as the capacity of original speleothem fabric to undergo dissolution and re-precipitation. Our hypothesis that colloidal HS protect the initial products of crystallization from subsequent diagenesis could explain the existence of primary dolomite preserved in Triassic sabkha facies influenced by fluvial input of siliciclastics. Primary dolomite nanocrystal aggregates coexist with single crystals, highlighting that multiple formation mechanisms were possible, which explains the variety of micro and nanostructures observed by conventional TEM investigations in dolomites. Similarly, we observed calcite nanocrystal aggregates and single crystals preserved in Triassic shallow marine facies, which are famous for their preservation of original aragonite, influenced by continental siliciclastic input. Our new data on the Triassic carbonates suggest that when HS colloids are abundant, nanocrystal aggregates are commonly preserved, possibly because of a protective coating by organic substances. These hinder both the transformation of the aggregates into larger crystals and multiple-steps diagenetic transformation that obliterate primary environmental signals. As opposed to textbook assumptions, it is here proposed that the existence of multiple crystallization pathways for carbonates within the same depositional environment, such as a cave setting or a sabkha, have repercussion on the early diagenetic processes and the extent to which diagenesis significantly resets the original chemical and physical signals. By using speleothems as paradigm for carbonates formed in natural environments where organic compounds are ubiquitous, the present review corroborates the notion that most mechanisms of carbonate crystallization, when the carbonate is not a biomineral, follow inorganic pathways. However, the role of organic substances, as inhibitors of growth and diagenesis, has profound influences on preservation of initial states of crystal formation. © 2017 Elsevier B.V. The genesis of calcite coralloid speleothems from Lamalunga cave (Southern Italy) is here investigated from a purely petrographic perspective, which constitutes the basis for any subsequent chemical investigation. Lamalunga cave coralloids formed on bones and debris on the floor of the cave. They consist of elongated columnar crystals whose elongation progressively increases from the flanks to the tips of the coralloid, forming a succession of lens-shaped layers, which may be separated by micrite or impurity-rich layers. Organic molecules are preferentially concentrated toward the centre of convex lenses as highlighted by epifluorescence. Their occurrence on cave floor, lens-shaped morphology and concentration of impurities toward the apex of the convex lenses supports the hypothesis that their water supply was hydroaerosol, generated by the fragmentation of cave drips. Evaporation and degassing preferentially occurred on tips, enhancing the digitated morphology and trapping the organic molecules and impurities, carried by the hydroaerosol, between the growing crystals which became more elongated. Micrite layers, that cap some coralloid lenses, likely identify periods when decreasing in hydroaerosol resulted in stronger evaporation and higher supersaturation with respect to calcite of the parent film of fluid. This interpretation of coralloid formation implies that these speleothems can be used to extract hydroclimate information. © 2016 Elsevier Ltd. The reconstruction of robust past climate records from speleothems requires a prior understanding of the environmental and hydrological conditions that lead to speleothem formation and the chemical signals encoded within them. On regional-scales, there has been little quantification of the dependency of cave dripwater geochemistry on meteorology (net infiltration, temperature), environmental and geographical factors (elevation, latitude, soil activity, vegetation cover, atmospheric aerosol composition) and geological properties of the aquifer (lithology, porosity and thickness). In the present study, we analysed over 200 karst waters collected in 11 caves of the Trentino region (NE Italy). The caves span sub-humid Mediterranean to cold-humid temperate climates and infiltration elevations (Z inf ) ranging from 355 to 2400 m a.s.l., corresponding to infiltration mean annual temperatures (MAT inf ) between 12 and 0 °C. Since all the caves developed in pure carbonate rocks, soil pCO 2 is found to be the main factor controlling the carbonate dissolution. For this reason, the parameters controlling the carbonate-carbonic acid system and calcite saturation state (SI CC ) are directly correlated with the MAT inf , which influences the vegetation zones and eventually the production of CO 2 in the soil. SI CC linearly depends on MAT inf (SI CC = 0.09 MAT inf - 0.4) and SI CC = 0 is reached at Z inf = 1.66 km a.s.l., corresponding to a MAT inf = 4.4 °C. This point identifies the "speleothem limit" defined here as the elevation (or corresponding MAT inf ) above which no sparitic speleothem precipitation usually occurs. We demonstrate that due to temperature-forced changes in the soil and vegetation and subsequently SI CC , the speleothem limit shifts to higher altitudes during maximum interglacial conditions. Speleothems from high altitude caves (1.5-2.5 km a.s.l.) thus can identify optimum interglacial periods. By contrast, speleothems formed at lower altitudes are better suited as archives of hydrological proxies. At altitudes below 1.2 km a.s.l., prior calcite precipitation (PCP) modifies percolating waters, particularly during periods of reduced infiltration. We introduce the use of the SiO 2 /Ca and SO 4 /Ca ratios in cave waters to complement Mg/Ca and Sr/Ca ratios as markers of PCP. SO 4 and SiO 2 are derived from atmospheric deposition and siliciclastic minerals in the soil zone, rather than carbonate host rocks (as in the case of Mg and Sr). By combing shifts to higher Mg/Ca, SiO 2 /Ca and SO 4 /Ca ratios along their characteristics PCP lines, we improve the robustness of the interpretation that this resulted from increasing PCP, rather than incongruent calcite dissolution (ICD). Our method permits the quantification of PCP between 0% and 40% for low elevation cave waters. This novel approach has important implications for speleothem-based paleoclimate studies where the distinction between PCP and ICD can be ambiguous and, in combination with Mg/Ca and Sr/Ca ratios, permits the quantification of net infiltration and/or rainfall amount from speleothem records. © 2016 Elsevier Ltd Speleothems are usually considered as one of the most amenable palaeoclimate archives for U-series dating. A number of studies in recent years, however, report cases of diagenetic alteration which compromises the use of U-series systematics in speleothems, resulting in inaccurate U-Th ages. Here we present the results of a high-resolution U-Th dating study of a stalagmite (CC26) from Corchia Cave in Italy where we document a number of departures from an otherwise well-defined age-depth model, and explore potential causes for these outliers. Unlike examples illustrated in previous studies, CC26 contains no visible evidence of neomorphism, and appears, at least superficially, ideally suited to dating. Good reproducibility obtained between multi-aliquot U-Th analyses removes any possibility of analytical issues contributing to these outliers. Furthermore, replicate analyses of samples from the same stratigraphic layer yielded ages in stratigraphic sequence, implying very localized open-system behavior. Uranium loss is suggested as a causative mechanism on account of the fact that all the outliers are older than their assumed true age. A limited number of micro-voids were observed under micro-CT analyses, and it is proposed that these were pathways for U loss. Uranium-loss modelling allows us to constrain the possible timing of diagenetic alteration and indicates that the precursor for the outlier with the largest age discrepancy (309%) must have been aragonite. This study indicates that visibly unaltered speleothems may still contain small domains that have experienced post-depositional alteration. Such ¿cryptic¿ diagenesis, as recorded in this stalagmite, has implications for the constancy of accuracy of the U-series dating technique, and suggests a need for careful examination of speleothems prior to dating, particularly in low-resolution U-Th studies. © 2014 International Association of Sedimentologists. In the late Carnian (Late Triassic), a carbonate-clastic depositional system including a distal alluvial plain, flood basin and sabkha, tidal flat and shallow carbonate lagoon was established in the Dolomites (Northern Italy). The flood basin was a muddy supratidal environment where marine carbonates and continental siliciclastics interfingered. A dolomite phase made of sub-micrometre euhedral crystals with a mosaic microstructure of nanometre-scale domains was identified in stromatolitic laminae of the flood basin embedded in clay. This dolomite is interpreted here as primary and has a nearly stoichiometric composition, as opposed to younger early diagenetic (not primary) dolomite phases, which are commonly calcian. This primary dolomite was shielded from later diagenetic transformation by the clay. The stable isotopic composition of dolomite was analyzed along a depositional transect. The d13C values range between ca -6¿ and +4¿, with the most13C-depleted values in dolomites of the distal alluvial plain and flood basin, and the most13C-enriched in dolomites of the tidal flat and lagoon. Uniform d18O values ranging between 0¿ and +3¿ were found in all sedimentary facies. It is hypothesized that the primary dolomite with mosaic microstructure nucleated on extracellular polymeric substances secreted by sulphate reducing bacteria. A multi-step process involving sabkha and reflux dolomitization led to partial replacement and overgrowth of the primary dolomite, but replacement and overgrowth were facies-dependent. Dolomites of the landward, clay-rich portion of the sedimentary system were only moderately overgrown during late dolomitization steps, and partly retain an isotopic signature consistent with bacterial sulphate reduction with d13C as low as -6¿. In contrast, dolomites of the marine, clay-free part of the system were probably transformed through sabkha and reflux diagenetic processes into calcian varieties, and exhibit d13C values of ca +3¿. Major shifts of d13C values strictly follow the lateral migration of facies and thus mark transgressions and regressions. © 2015, Societa Speleologica Italiana. All rights reserved. The systematic documentation of calcite fabrics in stalagmites and flowstones provides robustness to palaeoclimate interpretation based on geochemical proxies, but it has been neglected because it is difficult to transform crystal morphologies into numerical values, and construct fabric time series. Here, general criteria that allow for coding fabrics of calcite composing stalagmites and flowstones is provided. Being based on known models of fabric development, the coding ascribes sequential numbers to each fabric, which reflect climaterelated parameters, such as changes in drip rate variability, bio-mediation or diagenetic modifications. Acronyms are proposed for Columnar types, Dendritic, Micrite, Microsparite and Mosaic fabrics, whose use could then render possible comparison of calcite fabrics in stalagmites and flowstones from diverse latitudinal and altitudinal settings. The climatic and environmental significance of similarities in the geochemical signals and trends analysed in coeval stalagmites and flowstones (or differences in the signals and trends) will be more robust when compared with fabric time series. This is particularly true where, such as in the Holocene, changes in geochemical values may be subtle, yet fabrics may show changes related to variations in supersaturation, drip rate or input of detrital particles or organic compounds. The proposed microstratigraphic logging allows recognition of changes in stable isotope ratio or trace element values that can be ascribed to hydrology and diagenesis, with considerable improvement of reconstructions based on the chemical proxies of stalagmites and flowstones composed of calcite. © 2015 Macmillan Publishers Limited. All rights reserved. The European Alps are an effective barrier for meridional moisture transport and are thus uniquely placed to record shifts in the North Atlantic storm track pattern associated with the waxing and waning of Late-Pleistocene Northern Hemisphere ice sheets. The lack of well-dated terrestrial proxy records spanning this time period, however, renders the reconstruction of past atmospheric patterns difficult. Here we present a precisely dated, continuous terrestrial record of meteoric precipitation in Europe between 30 and 14.7 ka. In contrast to present-day conditions, our speleothem data provide strong evidence for preferential advection of moisture from the South across the Alps supporting a southward shift of the storm track during the local Last Glacial Maximum (that is, 26.5-23.5 ka). Moreover, our age control indicates that this circulation pattern preceded the Northern Hemisphere precession maximum by ~3 ka, suggesting that obliquity may have played a considerable role in the Alpine ice aggradation. Sulphate concentrations in speleothems identify major volcanic eruptions, provide useful information on soil and aquifer dynamics and, in similar fashion to the <sup>14</sup>C bomb peak, its Anthropocene peak can be used to date recent cave formations. However, the transmission of S from the atmosphere to cave dripwater and its incorporation in speleothems is subjected to biogeochemical cycling and accurate studies of each cave site are needed in order to assess how the S atmospheric signal is modified and eventually encoded in speleothems. This study investigates the role of biogeochemical cycling and aquifer hydrology by utilising published and new dripwater and speleothem data from Grotta di Ernesto (ER) in northern Italy. Here we provide the first long-term record of sulphate concentration in cave dripwater based on over 20 years of measurements. Fast drip site st-ER1 is characterised by a continuous decrease in SO<inf>4</inf> concentration from a high of 7.5±0.8mg/l in 1993-1994 to a low of 2.2±0.2mg/l in 2013-2014, and replicates with a delay of ~15 years the decline in the atmospheric SO<inf>2</inf> emissions. The S-series of slow flow ER78 site is further delayed by ~4.5 years in relation to the S retention in the aquifer matrix. The dripwater data are used to extend the previously published S record (1810-1998 AD) of stalagmite ER78 and reconstruct the anthropogenic S-peak: this displays a delay of ~20 years with respect to the atmospheric S emission peak due to biogeochemical cycling and aquifer storage. However, sulphur recycling above the cave did not operate with the same degree of efficiency through time, which resulted in a variable time delay between S deposition and incorporation into the stalagmite. In the pre-Anthropocene era, and in particular during the cold Little Ice Age, biogeochemical cycling was far less efficient than today, and the fast transmission of the atmospheric signal allowed capture of S released during major volcanic eruptions by stalagmites. © 2014 Elsevier Ltd. Terrestrial records of past climatic conditions, such as lake sediments and speleothems, provide data of great importance for understanding environmental changes. However, unlike marine and ice core records, terrestrial palaeodata are often not available in databases or in a format that is easily accessible to the non-specialist. As a consequence, many excellent terrestrial records are unknown to the broader palaeoclimate community and are not included in compilations, comparisons, or modelling exercises. Here we present a compilation of Western European terrestrial palaeo-records covering, entirely or partially, the 60-8-ka INTIMATE time period. The compilation contains 56 natural archives, including lake records, speleothems, ice cores, and terrestrial proxies in marine records. The compilation is limited to include records of high temporal resolution and/or records that provide climate proxies or quantitative reconstructions of environmental parameters, such as temperature or precipitation, and that are of relevance and interest to a broader community. We briefly review the different types of terrestrial archives, their respective proxies, their interpretation and their application for palaeoclimatic reconstructions. We also discuss the importance of independent chronologies and the issue of record synchronization. The aim of this exercise is to provide the wider palaeo-community with a consistent compilation of high-quality terrestrial records, to facilitate model-data comparisons, and to identify key areas of interest for future investigations. We use the compilation to investigate Western European latitudinal climate gradients during the deglacial period and, despite of poorly constrained chronologies for the older records, we summarize the main results obtained from NW and SW European terrestrial records before the LGM. Mounting evidence exists that variations in sulphur content in stalagmites are closely linked to changes in volcanic or anthropogenic atmospheric sulphur. The strong dependency of sulphur on soil pH and ecosystem storage, however, can result in a delay of several years to decades in the registration of volcanic eruptions and anthropogenic emissions by stalagmites. Here we present synchrotron-radiation based trace element analysis performed on a precisely-dated section of a stalagmite from Sofular Cave in Northern Turkey. As this section covers the time interval of the intensively studied Minoan volcanic eruption between 1600 and 1650 BC, we can test whether this vigorous eruption can be traced in a stalagmite. Of all measured trace elements, only bromine shows a clear short-lived peak at 1621 ± 25 BC, whereas sulphur and molybdenum show peaks later at 1617 ± 25 and 1589 ± 25 respectively. We suggest that all trace element peaks are related to the Minoan eruption, whereas the observed phasing of bromine, molybdenum and sulphur is related to differences in their retention rates in the soil above Sofular Cave. For the first time, we can show that bromine appears to be an ideal volcanic tracer in stalagmites, as it is a prominent volatile component in volcanic eruptions, can be easily leached in soils and rapidly transferred from the atmosphere through the soil and bedrock into the cave and stalagmite respectively. Highly resolved oxygen and carbon isotope profiles indicate that the Minoan eruption had no detectable climatic and environmental impact in Northern Turkey. © 2014 Elsevier B.V. Both aggregation and mineral association have been previously found to enhance soil organic carbon (SOC) storage (the amount of organic C retained in a soil), and stability (the length of time organic C is retained in a soil). These mechanisms are therefore attractive targets for soil C sequestration. In this study, we investigate and compare SOC storage and stability of SOC associated with fine minerals and stored within aggregates using a combination of particle-size fractionation, elemental analysis and radiocarbon dating. In this heavy-textured, highly aggregated soil, SOC was found to be preferentially associated with fine minerals throughout the soil profile. By contrast, the oldest SOC was located in the coarsest, most highly aggregated fraction. In the topsoil, radiocarbon ages of the aggregate-associated SOC indicate retention times in the order of centuries. Below the topsoil, retention times of aggregate-SOC are in the order of millennia. Throughout the soil profile, radiocarbon dates indicate an enhanced stability in the order of centuries compared with the fine mineral fraction. Despite this, the radiocarbon ages of the mineral-associated SOC were in the order of centuries to millennia in the subsoil (30-100cm), indicating that mineral-association is also an effective stabilisation mechanism in this subsoil. Our results indicate that enhanced SOC storage does not equate to enhanced SOC stability, which is an important consideration for sequestration schemes targeting both the amount and longevity of soil carbon. 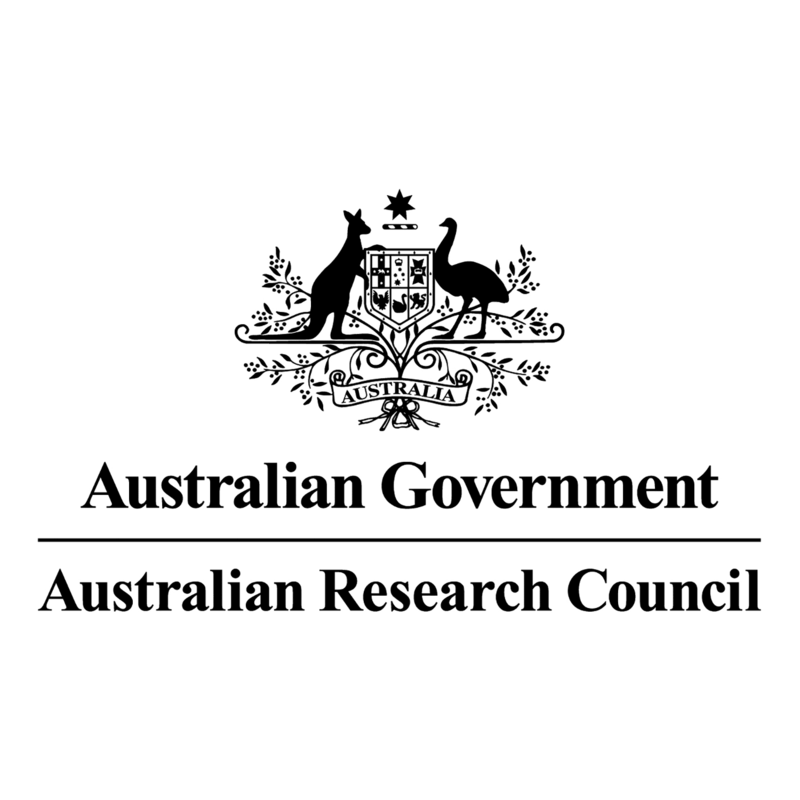 © CSIRO 2014. In 1993, a fossil hominin skeleton was discovered in the karst caves of Lamalunga, near Altamura, in southern Italy. Despite the fact that this specimen represents one of the most extraordinary hominin specimens ever found in Europe, for the last two decades our knowledge of it has been based purely on the documented on-site observations. Recently, the retrieval from the cave of a fragment of bone (part of the right scapula) allowed the first dating of the individual, the quantitative analysis of a diagnostic morphological feature, and a preliminary paleogenetic characterization of this hominin skeleton from Altamura. Overall, the results concur in indicating that it belongs to the hypodigm of Homo neanderthalensis, with some phenetic peculiarities that appear consistent with a chronology ranging from 172±15ka to 130.1±1.9ka. Thus, the skeleton from Altamura represents the most ancient Neanderthal from which endogenous DNA has ever been extracted. Karst environments are regions where sparingly soluble rocks outcrop and efficient acid hydrolysis creates spectacular dissolution landforms. The release of CO 2 from karst waters to the atmosphere causes precipitation of calcium-carbonate deposits, which, in caves, are collectively known as speleothems. Karst carbonate deposits capture climate and environmental signals in their macro- and micro-morphological characteristics, their mineral composition, and their chemical properties. They can be precisely dated with radiometric techniques and, thus, constitute an archive of climate change for millions of years. Karst carbonate formation is a product of both inorganic and organic processes. The influence of bacteria appears to be particularly important in the formation of calcareous tufa, deposits which commonly dam flowing water at both surface and subsurface. Bacteria also play a role in favouring the growth of mineral fibres in cave moonmilk, a plastic and powdery deposit consisting mostly of water and calcite. The most typical products of deposition in the subsurface karst environment are speleothems consisting of a rigid and relatively fragile arrangement in successive layers of calcium-carbonate crystals, which are here referred to as sparitic speleothems. Stalagmites, stalactites and flowstones mostly consist of calcite, and less commonly of aragonite or other minerals, which reflect events that occurred at the surface in their fabrics, trace-element composition, stable-isotope ratio and organic chemistry. The focus of this chapter is on issues related to the formation of karst deposits and their significance as palaeoclimate archives. © 2010 Elsevier B.V. All rights reserved. Calcite moonmilk, which is a cave deposit formed of calcite crystals and water, is found in many caves in the Italian Alps. These modern and ancient deposits are formed of fiber calcite crystals, 50-500 nm wide and 1 to > 10 µm long, and polycrystalline chains that have few crystal defects. Radiocarbon dating indicates that most moonmilk deposits in these caves are fossil and that for most precipitation ceased ~ 6400 cal years BP, at the end of the mid-Holocene Hypsithermal. In the caves of the Italian Alps, the optimal conditions for formation of calcite moonmilk are: (1) a temperature range of 3.5-5.5°C, (2) low discharge volumes of seepage waters that are slightly supersaturated (SI CAL = 0.0 to ~ 0.2), and (3) relative humidity that is at or close to 100%. Microbial activity apparently did not play an active role in the formation of the calcite moonmilk. Conditions for moonmilk formation are typically found in caves that are located beneath land surfaces, which are soil covered and support a conifer forest. Precipitation of the fiber calcite crystals apparently involved very slow flow of slightly supersaturated fluids. The fact that moonmilk appears to form under a narrow range of environmental conditions means that this cave deposit has potential as a paleoclimatic indicator in high alpine karst areas. Copyright © 2000, SEPM (Society for Sedimentary Geology). Calcite moonmilk, which is a cave deposit formed of calcite crystals and water, is found in many caves in the Italian Alps. These modern and ancient deposits are formed of fiber calcite crystals, 50-500 nm wide and 1 to > 10 µm long, and polycrystalline chains that have few crystal defects. Radiocarbon dating indicates that most moonmilk deposits in these caves are fossil and that for most precipitation ceased ~ 6400 cal years BP, at the end of the mid-Holocene Hypsithermal. In the caves of the Italian Alps, the optimal conditions for formation of calcite moonmilk are: (1) a temperature range of 3.5-5.5°C, (2) low discharge volumes of seepage waters that are slightly supersaturated (SICAL= 0.0 to ~ 0.2), and (3) relative humidity that is at or close to 100%. Microbial activity apparently did not play an active role in the formation of the calcite moonmilk. Conditions for moonmilk formation are typically found in caves that are located beneath land surfaces, which are soil covered and support a conifer forest. Precipitation of the fiber calcite crystals apparently involved very slow flow of slightly supersaturated fluids. The fact that moonmilk appears to form under a narrow range of environmental conditions means that this cave deposit has potential as a paleoclimatic indicator in high alpine karst areas. Copyright © 2000, SEPM (Society for Sedimentary Geology). One of the themes AIQUA has intended to develop its own work on in the three years, 1998-2000, has been that on the climatic evolution in the last 10,000 years. An original approach has been thought of that combines geological, naturalistic, archeological and historical data ect. Thus, a working group formed by experts in different subjects has been created, whose objective has been to produce extended abstracts on research and the results of paleoclimatic studies regarding different markers. The sources of paleoclimatic proxy data discussed are: glacial variations in the Alps, sea and lake level fluctuations, sea surface temperature fluctuations, historical data series, pollen sequences, speleothem isotope and trace elements profiles, travertine analysis and ice core isotope and dust mineralogy profiles. Finally, an updating of the14C methodology and calibration has been carried out. The period under study decided upon is the Holocene, as defined by Orombelli &amp; Ravazzi (1996) and by Walker etal. (1999). Thus, the Holocene starts from a14C conventional age of 10 ka BP, between 11263 and 11549 years BP according to Stuiver et al. (1998) calibration (for atmosphere), or 11500 years according to the counting of annual layers in GRIP ice core. The authors have reproposed to summarize results and metodology regarding Italian paleoclimatic research, with wide reference to that of the whole world. In the frame of discussion on speleothem sedimento-logy we introduce a particular subclass of speleothemes undergoing accretion both in the continental (subaerial dripstones) and marine (marine organic overgrowth) environments, and describes the chemical-phisycal aspects of speleotheme growth. Hus allows a correct use of this speleothem subclass in paleoclimatic and eustatic investigation. Applications and limits of the most common datation techniques (U/Th,14C) to the chronological reconstructions of sea level oscillations are outlined. The significance of speleothemes wide marine overgrowth as paleoclimatic indicators through the analysis of variations in oxygen and carbon isotopie rations is also discussed (d;18O e d13C). The integrations of informations deriving from continental and submerged speleothem allow detailed paleoenvironmental reconscrutions to be made. Durin glacial-interglacial oscillations, an encrease of d;18O indicate cooling, and marine organogenic overgrowth on speleothemes allows the precise detection of submsion timing. The present work has been performed in the framework of the research project AQUAPAST. The main focus of AQUAPAST is the reconstruction of past climate changes in the atmospheric circulation and in particular in the water vapour transport mechanism over the Mediterranean area starting from the analysis of the isotopic content of cave speleothemes in the Trentino Province (North-East of Italy). A Lagrangian methodology for the reconstruction and the analysis of the airstreams which govern the transport of water vapour has been applied to recent events. The average monthly isotopic signal of the precipitation water sampled in stations located in key geographic settings in the Province of Trento is used as tracer to infer the origin of the precipitating water and to validate Lagrangian analysis. A comparison between the isotopic signal of November 2002 and November 2003 is here presented, as most of the yearly precipitation falls in November over the Eastern Alps. Hypotheses are proposed about the meteorological factors (e.g. monthly averaged sea surface temperature atmospheric circulation, etc.) determining different isotopic signal in the two years. UON scientists have decoded a 24,000-year-old riddle and discovered a surprising role Antarctic volcanoes play in global climate.